Veterinary Ophthalmology Resident Dr. Christian R. Nettune is a native Texan. He joined our practice as an ophthalmology resident. 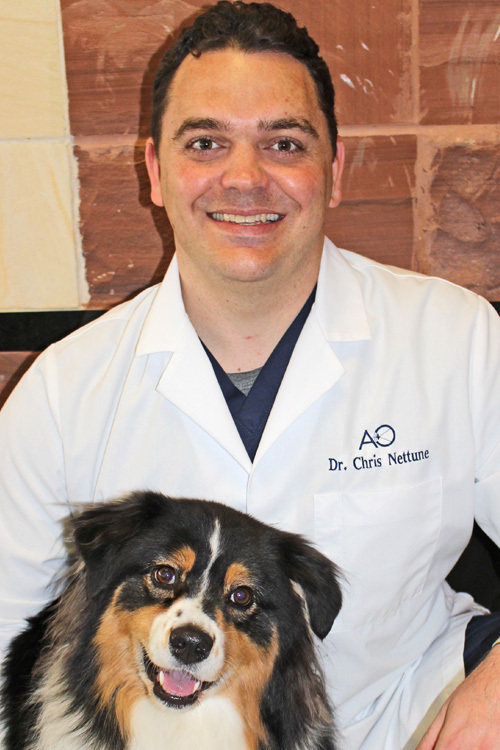 Dr. Nettune earned his Doctor of Veterinary Medicine degree from Oklahoma State University in 2015 and then completed an internship year in Small Animal Medicine and Surgery at Ohio State University. A 2005 graduate of Vanderbilt University, Dr. Nettune worked as a financial analyst before deciding to pursue his dream of veterinary ophthalmology. Dr. Nettune’s interest in the field of ophthalmology is long standing as both his father and one of his older brothers are ophthalmic surgeons.